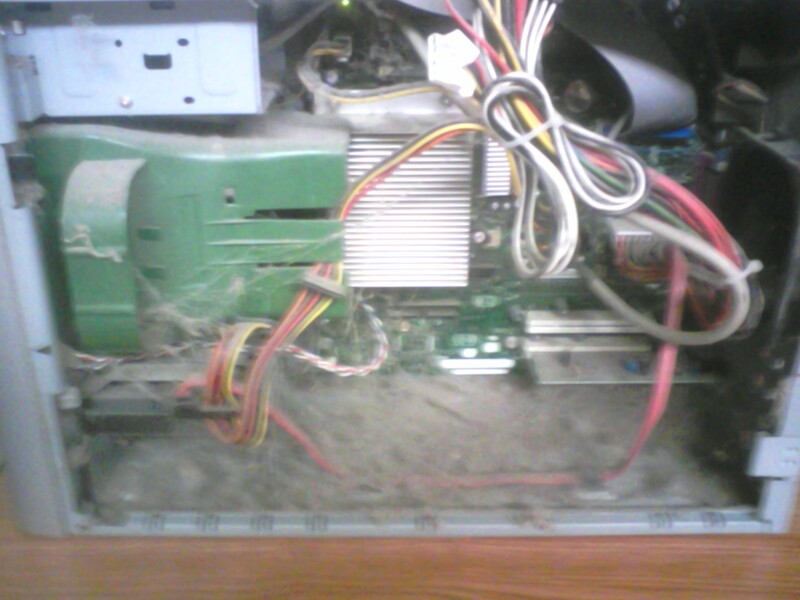 The accumulation of dust, hair, and other particulates inside your computer is inevitable. This is due to the cooling fans located inside. It is not a reflection of your housekeeping but must be addressed and cleaned. As the pictures above portray, these particulates can build up over time. These pictures are characteristic of extreme neglect. Most users do not even realize that this is a maintenance issue. Some people do know that the system needs to be cleaned but try to do it with vacuum cleaners or compressed air. That sounds like a good idea but, in reality, you are chancing serious damage because air, rushing across the boards causes static electricity. This static electricity can and HAS shorted out motherboards, CPUs, and any number of other components. Korvan's Korner has years of experience and will do a much more thorough and safe cleaning for a minor cost (Click on "Some of our Services" on the left of this page for pricing). 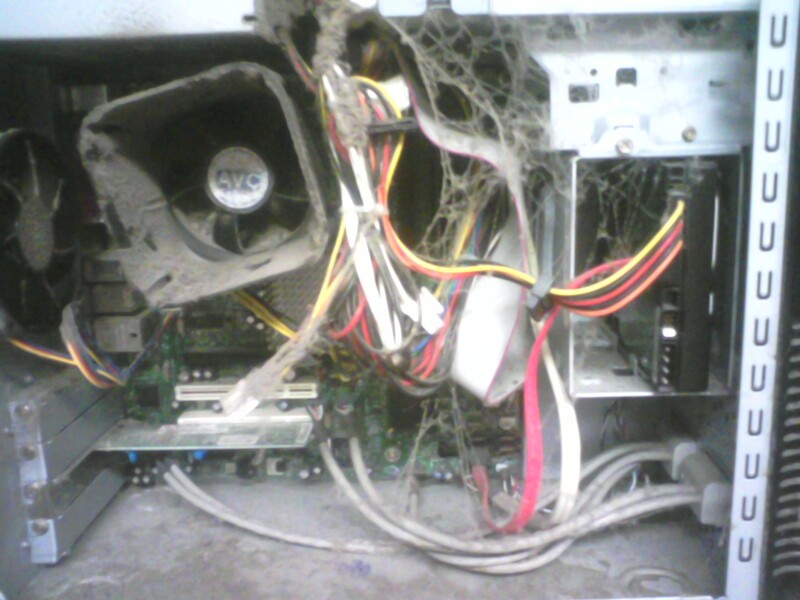 Our cleaning process includes ALL system components including the inside of the power supply, in and around the drive bays, and the careful cleaning of the CPU, heatsink, and fan. We check your cooling components for signs of wear and impending failure. All this for a low, affordable cost. Bring your PC into us TODAY!! !